Driverless buses: will Kiama be next? While it is early days yet, the prospect of Kiama being an early adopter of autonomous (driverless) transport technology to provide a much needed shuttle service is capturing people’s interest. The idea was highlighted as a proposal being investigated at Council’s recent Pop-Up shops around the Municipality. “I began working on this when Councillor Steel suggested the idea of road-based tourist trains to move people around town,” says Gino Belsito, Director of Engineering & Works. A proposed 4km circuit, looping from the Leisure Centre, out to Blowhole Point, and up to the site of the new Centre for Aged Care Excellence, has been put together for discussion. Mr Belsito is looking for private sector and government sponsors for the project. He has already approached the NRMA as a possible partner and says he has had an enthusiastic response. “In contrast to the autonomous passenger bus recently announced to start trialling at Homebush Bay, we are offering them the opportunity to operate on a public road. 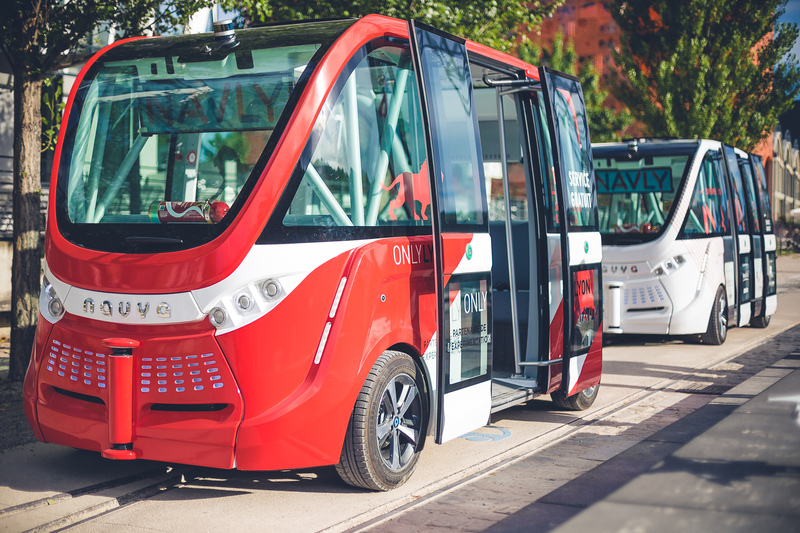 Australia’s first driverless shuttle bus is being trialled along the foreshore in South Perth. The NRMA, which is involved in the Homebush trial, has said the use of autonomous vehicles on the state’s roads could save thousands of lives, and reduce crashes and injuries. Mr Belsito says Kiama’s visibility as a major tourist destination is seen as something that will work in our favour in trying to attract partners and funding, as it will give the project a high profile. There are only a small number of manufacturers of autonomous buses in the world at the moment, with the electric vehicles costing around $200,000. While the buses only carry 11-15 passengers, there is the potential to add a trailer wagon to cost effectively increase capacity. It is envisaged the service would be free, funded by advertising revenue from businesses en route.